11 lectures, Dornach, September 5-24, 1924 (CW 238) At the end of his life, Steiner assumed a task that was his special destiny?to bring knowledge of reincarnation and karma to the West. To do this, he gave more than eighty lectures in 1924 in which he explicitly and concretely revealed the destinies of various individuals from one life to the next in order to show how the general laws of karma operate in individual cases. 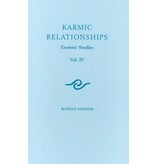 He also revealed many details of the karmic streams of the members of the Anthroposophical Society. These volumes constitute an immeasurable contribution to the understanding of reincarnation and karma, and the tasks of the Anthroposophical Society in connection with the Archangel Michael. 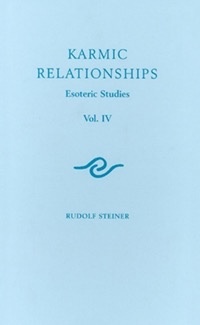 In these lectures, Steiner discusses the karmic groups of souls connected to Aristotelianism and Platonism, the karma of the anthroposophical movement, as well as the individual incarnations of Ernst Haeckel, Vladimir Solovioff, and others. This edition includes Steiner's final address.